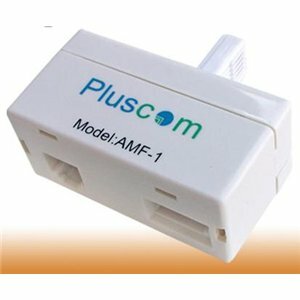 This Pluscom microfilter also known as ADSL filter and splitter separates your analogue telephone service from the data signals used on your broadband service, allowing you to use both simultaneously. It will help you get better voice quality. Although our filters may be at a fraction of many other on the market, but this does not mean we compromise on the quality. 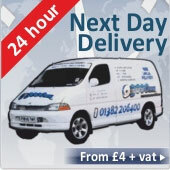 All our ADSL filters are of very high quality and according to BT specifications. It Meets all SIN346 requirements including 'longitudinal balance' test. How many ADSL filters do I need? You will need to fit an ADSL filter to every telephone outlet where a telephone is connected. Whilst there is no practical limit to the number of filters that can be connected to a phone line, we recommend a maximum of four filters and that the phone should be connected to a filtered sockets only unless the phones's socket has built in filter components. It is possible to attach a 'phone-doubler' adapter to a filter in order to attach two telephone handsets. However it is important to note that not filtering one telephone device will affect other devices and this may stop all the other filters working correctly.